Next I invited any Canadian Genealogists on that list to participate in a Guest Biography post here on Olive Tree Genealogy. 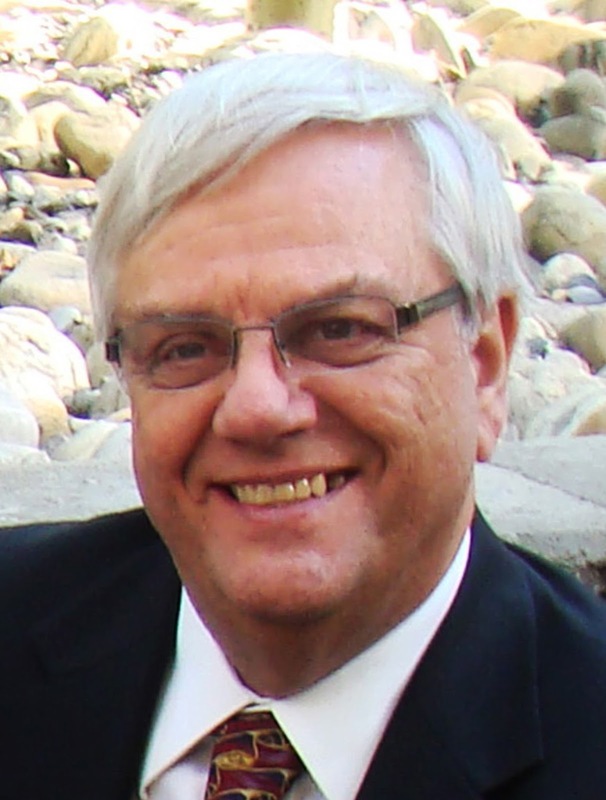 I'm pleased to say that our first invited guest is Wayne Shepheard from Calgary, Alberta, Canada. I asked Wayne some questions about his role as a Canadian Genealogist and here are his responses. I have always been a collector of memorabilia and was the person who took on the task of creating and maintaining the family photo albums; so it was a natural progression to find the stories that went along with the pictures and artefacts. I did not really get totally into the research aspects until after my parents and grandparents had died so missed out on asking them a lot of questions about our ancestry. Trying to answer those questions is now a major focus of my personal family history pursuit. I have I have been quite active for the last twenty-five years getting substantially more involved in many aspects of research and volunteer work since I retired. I worked for 40 years as a geologist in the exploration for oil and gas. In doing that I was well-acquainted with research techniques – assembling information and coming up with solutions to problems – so I was well-prepared to investigate genealogical problems using usually limited information and arrive at plausible stories about people in the past. Most of my own research has been in England and Scotland. My late aunt had done considerable work on my mother’s family across the US. I wanted to know more about my father’s side all of whom at some point arrived in Canada and the US from the British Isles. Devon was home to the Shepheard branch so that is where I have done most of my work. I know there are many genealogists who are very active with social media but, unfortunately I just don’t seem to have the time to get organized that way – or maybe I’m too old and set in my ways. I do have a Google+ site that I use to share some thoughts and ideas, mainly from my blog. I keep a Facebook page only to allow me to keep up with what my children and grandchildren are doing. I think a lot of people get a lot out of sharing ideas and information through social media. I guess a blog is part of that aspect as well. Probably the main importance of other venues is to put people together who have similar interests and, using those contacts, be able to learn more about different ways of researching and sources of data. I belong to several organizations associated with areas I am actively researching or activities that assist me in reaching out to others as a volunteer. They include the Alberta Genealogical Society, the Association of Professional Genealogists, the Devon Family History Society and the Society of Genealogists. 7. What does genealogy mean to you? Genealogical work allows me to keep active in research and solving problems, things I have been doing all my adult life. In retirement especially, it keeps my mind and body active. Doing what I do also allows me to pass along ideas and information to others involved in family history and working with them always results in me getting new ideas as well. I’m putting my information in a form that my descendants can access and at least learn something about where they come from. 8. Why do you believe it is important? Assembling information about one’s family and ancestors allows us to learn where we are in life and how we came to be there. There are lessons to be found in seeing who came before, what they did, what problems they encountered and how they solved them. Getting involved in genealogical work also gives an opportunity to meet other interesting people and keep our minds active. There is no question that availability of information on the Internet has changed the way most of us research. It is a constant struggle, but also very exciting to keep up with new information coming online. That being said, it is very important not to lose sight of the other sources of historical records, both in terms of repositories and people. I think people can learn from research into their past. What they usually find out is that their ancestors were not all that different in their outlook or goals. The differences are mostly in the tools they had to work with and the living conditions which they endured. Finding out how people in the past went about their daily lives or how they changed the ways they lived in order to find better opportunities for themselves and their children can be can be instructive for people living today. As in most pursuits and hobbies it is most important to have fun. We aren’t solving the world’s problem, although we are learning that people from all over the globe essentially have the same basic outlook and objectives in growing, learning, working, interacting with others, raising families, etc.